Adapted from Susan Arrington Madsen, The Lord Needed a Prophet (1990), 61–62, 71. 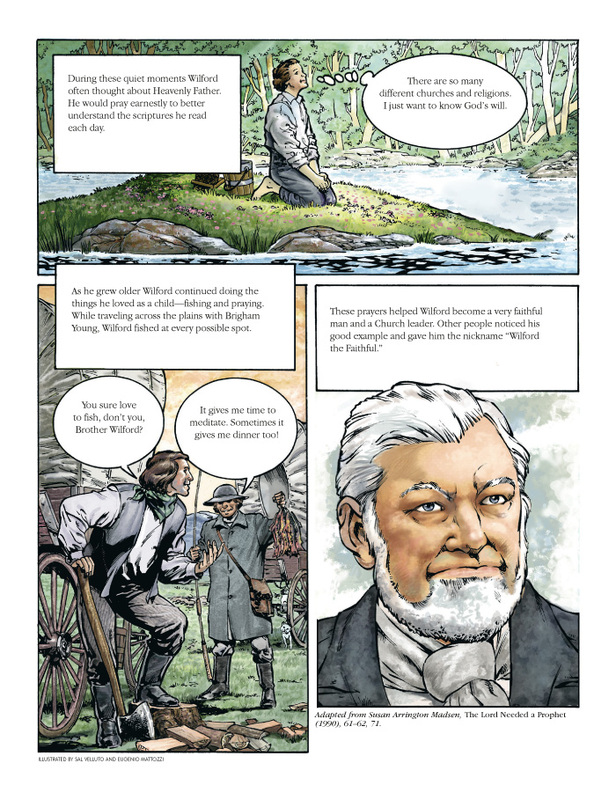 When President Wilford Woodruff was a child, he lived in Connecticut and worked in his family’s flourmill and sawmill. Both his father and grandfather worked at the mills and encouraged him to put in a full day’s work. Some days Wilford worked for 18 hours! Father: Are you ready for another day, Son? Nothing will make you feel more satisfied than working with your hands. When his work was done Wilford liked to relax in the peace and quiet of nature. Sometimes he and his brother Azmon would go fishing. They were known as the best fishermen in the area. One day after work Wilford discovered an island in the middle of his fishing stream. The island was covered with wildflowers. Wilford would lie on his back among the wildflowers and gaze up at the clouds. Wilford: I certainly love this place. It’s good to get away from the noise of life and be alone for a few minutes. During these quiet moments Wilford often thought about Heavenly Father. He would pray earnestly to better understand the scriptures he read each day. Wilford: There are so many different churches and religions. I just want to know God’s will. 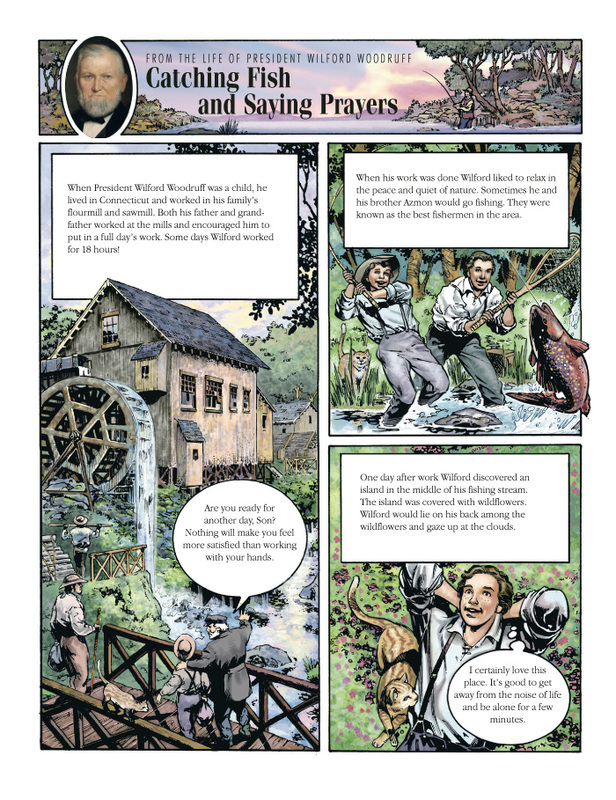 As he grew older Wilford continued doing the things he loved as a child—fishing and praying. While traveling across the plains with Brigham Young, Wilford fished at every possible spot. Brigham: You sure love to fish, don’t you, Brother Wilford? Wilford: It gives me time to meditate. Sometimes it gives me dinner too!